​Why not have a clear out of your 'Clobber' over St. Patrick's weekend - old clothes/bed linen/ shoes etc (but nothing electrical!!) 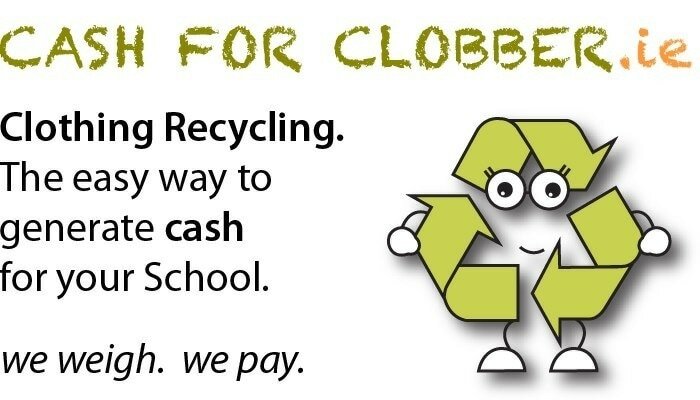 - put them into bin sacks or collect a 'Cash for Clobber' bag in school - drop your full bags into the school hall on Wednesday 22nd (morning and afternoon drop offs) or Thursday 23rd March (morning only). Bags will be picked up Thursday 23rd. Help the Parents' Association raise funds for our school projects - garden, library, equipment etc.